Ctra. Madrid, Km 4 , +37900 Salamanca, Spanje. 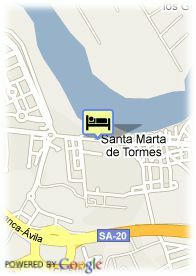 Holidays and business hotel in Salamanca. 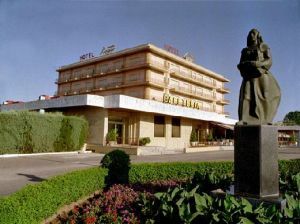 The Regio Hotel is a full establishment located in a very quiet and pleasant area from Salamanca. The Regio Hotel is situated at less than five minutes from the city center, in a quiet area surrounded by gardens. It disposes of eight lounges with a capacity of until 800 people, completely equipped in order to celebrate congresses, conventions and banquets. The Regio Hotel offers 119 carefully decorated rooms, equipped with up-to-date services such as satellite dish TV, ADSL, Wi-Fi, mini bar and background music. The Regio Hotel also disposes of modern facilities in order to enjoy the recreational time in the most pleasant way. Swimming pools, tennis courts, gardens, restaurant, you can find everything this at just 5 minutes from the historical and business center of Salamanca.